In the Mahåparnibbåna Sutta, there is an accounting of the monks response to the Buddha’s death. It seems a pretty good description of the spectrum of grief responses we might have to the loss of someone we love. It’s followed by some advice. It’s always troubled me. Not because it’s not true but because it is so easily misunderstood. And, because advice rarely helps when it comes to grief. How do we move toward the light of absolute truth and still accept our very human and relative nature? Certainly, not by suppressing our grief. Nor by attempting a spiritual by-pass around the difficult and sometimes dark emotions that normally follow the great losses of our lives. We might wish to transcend grief by reaching for the truth of impermanence. “Just let go,” says our spiritual superego. But, there is no letting go until there is letting in. A wiser and more compassionate approach might be to trust the process of grief and to recognize it as a path to wholeness. 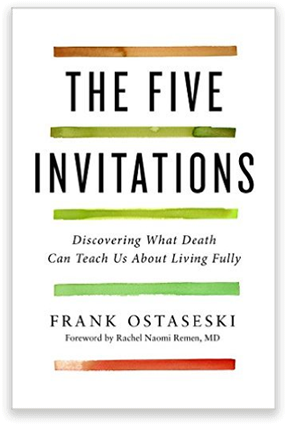 Allowing the grief, allows us to pass through to non-grieving. Listening helps us to feel and move toward the suffering which is where the healing is almost always found. While I might prefer to identify with the monks who were free of craving I would more likely find myself wailing if the one I loved most had died. I would find it helpful if someone just sat beside me and listened. Accompanied me in my sorrow. I believe I could feel the love and concern of another who didn’t want me to be any different. I could feel the pulse of life in their company as an encouragement. The heart to heart exchange with someone who could be with my suffering would be more valuable then a thousand truthful words. Perhaps I would eventually be able to raise my head and see their face. They would have the eyes of compassion. This could only be so if that person understood that my suffering is their suffering. Then perhaps we could stand and walk together toward the inevitable pain of embracing the truth of loss. In my experience, there are no shortcuts around grief. The only way is right through the middle. It is a visceral experience. Like being punched in the belly. It takes your breath away. Grief is completely unpredictable, uncontrollable. Our fear of this lack of control leads us to ideas about managing our grief or getting over our grief. It’s curious to me that we never speak about managing our joy or getting over our happiness? We may think of grief as a solid thing that will eclipse our life or a black hole that we will fall into and never escape. Our tendency for self-protection leads us to store the conflicting emotions of grief in some dark, cramped corner of the mind or body. But avoidance or resistance to grief only intensifies the pain. The willingness to experience and investigate our pain gives rise to compassion, to kindness. Loving attention melts our well-constructed defenses and we begin to invite the pain into our heart. The thoughts, the physical sensations, the emotional turmoil that we have so long rejected, had so little room for, begin to be held in awareness. When seen as an ally, grief has the capacity to show us how separate we feel, how fractured we have allowed our lives to become. Meeting these experiences with tenderness and mercy we discover that grief is our common ground. It’s like connective tissue that joins us to others in sorrow and joy. Opening compassionately to our grief we open to our whole self, we open to life. In grief, we access parts of ourselves that were somehow unavailable to us in the past. The journey through grief can lead us to a profound understanding that reaches beyond our individual loss. It can open us to the most essential truths of our lives: the truth of impermanence, the causes of suffering, and the illusion of separateness. With awareness, we begin to appreciate that we are more than the grief. We are what the grief is moving through. In the end, we may still fear death, but we don’t fear living nearly as much. In surrendering to our grief, we have learned to give ourselves more fully to life.